A muffled humming! Like a vibratory hollow wind which lies down peacefully between our ears and turns into welcoming breezes for an organic flora and a paradise for birds of all kinds. Another wave stands out and rises with a seraphic vision, guiding "Atmosphere for Dreaming" even deeper into our inner spirit, where meditation takes many forms. Forms that Steve Roach manages to find and exploit over each album which attracts constantly new followers. Modeled following The Dream Circle, which was originally a canvas of atmospheres for Steve's 90's concerts, “Atmosphere for Dreaming” was developed as part of the concerts in Tucson and Santa Fe, and at Soma FM Broadcasts while the American musician was performing the main lines of Return to the Dreamtime. 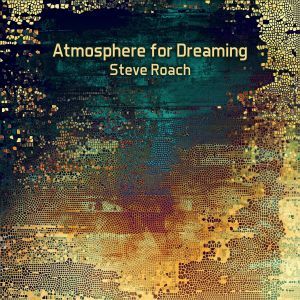 The music is based on the intertwining of sound waves that Steve Roach opposes to a vast sampling of nature sounds, such as chirping birds and streams flowing in a tundra full of lichens and ferns. The link to make with the Australia's landscapes and soundscapes are obviously great accomplices of our imagination. The structure runs its 73 minutes on repetitive loops, with subtle variances in the sampling structures, which tirelessly forge a long meditative journey where our senses also perceive spiritual hums that we notice even more towards the 50 minutes. The finale is majestic, for fans of the genre, with waves and extremely musical winds that awaken memories of Structures from Silence. Offered for just $ 5 on Bandcamp's Timeroom Edition website, “Atmosphere for Dreaming” will soon be available on manufactured CD in late March. Some beautiful meditative music by the undisputed master of the genre. Un bourdonnement sourd! Comme un vent creux vibratoire qui se couche paisiblement entre nos oreilles et se transforme en brises d'accueil pour une flore organique et un paradis pour oiseaux de tous genres. Une autre nappe se détache et s'élève avec une vision séraphique, guidant "Atmosphere for Dreaming" encore plus profond dans notre esprit intérieur, là où le recueillement prend plusieurs formes. Des formes que Steve Roach réussit à trouver et à exploiter au fil de chaque album qui lui attire constamment des nouveaux adeptes. Calqué sur le modèle de The Dream Circle, qui était à l'origine un canevas d'ambiances pour les concerts de Steve dans les années 90, “Atmosphere for Dreaming” fut élaboré dans le cadre des concerts à Tucson et à Santa Fe et ainsi qu'au Soma FM Broadcasts alors que le musicien américain performait les grandes lignes de Return To The Dreamtime. La musique repose sur les vols entrecroisés de vagues et d'ondes sonores auxquelles Steve Roach oppose un vaste échantillonnage de sons de la nature, comme des pépiements d'oiseaux et des ruisseaux qui coulent dans une toundra fourragère. Le lien à faire avec les paysages et panoramas sonores d'Australie sont évidemment de grands complices de notre imagination. La structure écoule ses 73 minutes sur des boucles répétitives, assorties de subtiles variances dans les structures d'échantillonnages, qui forgent inlassablement un long parcours méditatif où nos sens perçoivent aussi des fredonnements spirituels que l'on remarque encore plus vers les 50 minutes. La finale est majestueuse, pour les amateurs du genre, avec des ondes et des vents extrêmement musicaux qui éveillent des souvenirs de Structures from Silence. Offert pour seulement 5$ sur le site Bandcamp de Timeroom Edition, “Atmosphere for Dreaming” sera bientôt disponible en CD manufacturé à la fin Mars. De la très belle musique méditative par le maître incontesté du genre.